When there's no more room on television, the dead will walk the big screen. After 50 years, a direct sequel to the genre-defining George A. Romero classic Night of the Living Dead is in the works — from a lost screenplay by the writing team behind the original. Official website Living Dead Media dropped the bombshell with a statement released to Bloody Disgusting. "Night of the Living Dead's place on the Mt. Rushmore of horror films is known by most horror fans and people all over the world. But, unknown to most is that in the 1970's, the original writers and producers of Night of the Living Dead penned a sequel to their masterpiece," the statement reads in part. "Living Dead Media has brushed away the dirt from this amazing follow up to a classic and brought together a great team to produce the new film." Zombies have become extremely bankable in the last decade or so, from Zack Snyder's remake of original Night of the Living Dead sequel Dawn of the Dead to AMC's long-running series The Walking Dead, which has proven just as hard to stop as its walkers. But 1968's Night of the Living Dead started it all, establishing every trope of the genre in one fell swoop and bringing sudden fame to Romero, who would become known as a "Master of Horror" on par with his buddy Stephen King. Details about the sequel are being kept tightly under wraps, but that won't stop us from engaging in rampant speculation. 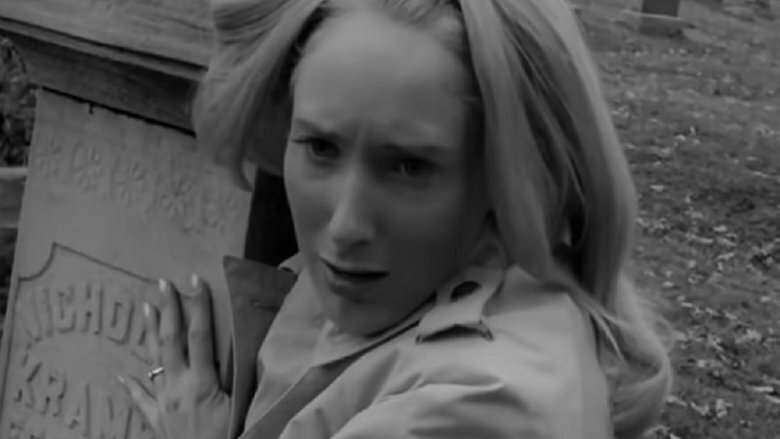 Night of the Living Dead portrayed the very beginning of a zombie apocalypse, as authorities struggle to understand what's happening and a ragtag band of survivors try in vain to barricade themselves against the onslaught of the undead horde. Dawn of the Dead, released in 1978, took place only three weeks later — as said authorities failed to contain the outbreak. As a result, most urban centers are hopelessly overrun with flesh-eaters, and the majority of the world has descended into anarchy. It would make sense for the "lost" sequel to take place immediately following the events of the original film, perhaps focusing on the questionable strategies and poor choices that led to the worldwide chaos depicted in Dawn of the Dead. The "band of survivors" trope now so common to the genre will probably also come into play, perhaps with a focus on the officials tasked with putting a halt to the outbreak. We could be totally off the mark here, but with all of the zombie-related properties that have flooded the world of entertainment in recent years, it'll be incredibly exciting to see what ideas Romero's original team had as to where Night of the Living Dead's story could go next. Nobody at that time could have foreseen the global phenomenon the film would kick off, and from a pure storytelling standpoint, it stands to reason that the "lost" script could represent a version of the zombie apocalypse narrative that we haven't quite seen before. Fortunately, it appears that we won't have to wait too long. With a production team apparently in place, the current plan is for the Night of the Living Dead sequel to hit screens sometime in 2019.